The majority of gyms and fitness centres hold free-weights, resistance machines and, in many cases, more treadmills, cross trainers and exercise bikes than you can shake a dumbbell at. But is all of that equipment really necessary? Not if you’re into Calisthenics! Calisthenics, or bodyweight exercises, rely on your body’s mass to provide resistance for your musculature to push against. Press-ups, chin-ups and tricep-dips all fall into this category; you’re lifting your own body weight up and down, rather than relying on any outside object. Calisthenics can be performed even when there aren’t any weights available to use – meaning that you’ll be able to get through your workout without having to wait for anyone else to finish that final set of deadlifts. But there are reasons you might want to rely on your body instead of weights, even when you have the gym to yourself. Bodyweight training isn’t a new innovation. Calisthenics have been practiced by military organisations since the infamous Spartans. They’re integral in contemporary military training, too – almost every soldier on the planet worthy of the title is capable of churning out a few sets of chin-ups whenever he or she feels like it. You might, on first reflection, be sceptical of just how beneficial a calisthenics programme could be. After all, we wouldn’t invest quite so much in expensive gym equipment if we could get the same benefit using just our own bodyweight, would we? Naturally, retailers of expensive sports equipment will be keen to emphasise the advantages of a weighted training programme. And it’s true that if you want to achieve certain things in the gym, then weight training is mandatory. As is almost always the case when selecting a fitness programme, it depends on what your goals are. Bodyweight exercises, invariably, are closed-chain kinetic exercises. What this means is that throughout much of the exercise, a part of your body remains fixed in space. So, when you’re cranking out those pull-ups, your hands will remain in the same position. This is contrasted with open-chain exercises like weighted curls, where your body isn’t fixed in any one position. It’s important to note that not all weighted exercises are open-chain; compound lifts like squats and deadlifts are closed-chain, and therefore call upon many different sorts of muscle groups. Closed-chain exercises more closely mimic the motions that you might undergo in the ‘real world’, and so tend to produce more utilitarian results. Open-chain exercises, on the other hand, allow you to isolate specific muscle groups. Does Bodyweight Training Increase the Risk of Injuries? One of the biggest impediments to fitness progress is injury. Injuries hurt, for one thing; but perhaps a greater cost comes in the form of downtime. All of that time spent moping around the house is time that you could be spending gym! Protracted downtime, to be sure, is something which can seriously inhibit your progress. If you’re not able to go back to the gym for weeks, or even months, after suffering an injury, then your results will suffer all the more. Injury prevention, then, is a hugely important consideration when developing an exercise regime. And this is where bodyweight training tends to hold the advantage. The problem with many weighted exercises is that they’re unnatural, and often require an awkward, uncomfortable range of motion. A behind the neck shoulder press, for example, will see your shoulder blades move up and down at the extreme end of their extension. That is to say, they will move while parallel to your back. Now, your shoulder blades have been shaped by millions of years of evolution to help you cope with the world around you. They’re fantastically complicated pieces of machinery – but they haven’t adapted to move in such a way. There is no natural movement that you could make that would see you make such a motion. Bodyweight training benefits from mimicking natural motions – those that our ape-like ancestors, and modern primate cousins, perform on a regular basis. Almost by necessity, bodyweight exercises activate more than one part of your musculature. Bodyweight training injuries are rarer because they ensure that those little stabilising muscles that are so crucial to preventing injury are developed alongside the main ones that you’re working on. By inserting a few bodyweight-training exercises, you can help these often-neglected smaller muscles to develop, and thereby reduce the likelihood of an injury. With that said, there are always exception to the rule. There are some bodyweight exercises that focus an enormous amount of stress in a small area – a one-armed chip-up, for example, will force your tendons to tolerate a great deal of force. Such exercises should be performed sparingly, to give your body time to repair itself. Bodyweight exercises, being closed-chain, provide functional strength and conditioning. You’re not able to isolate those ‘vanity’ muscles in quite the same way as you might with a weight-training programme, and consequently, you’re unlikely to see a professional bodybuilder who works out using their bodyweight alone. And yet, if you’ve ever been to prison – or, more likely, have seen the interior of a prison on television – then you might have noticed that many inmates are – well – ‘jacked’. Why this should be is a mystery to most gym-goers. Clearly, while prison systems do provide their occupants with some modest gym facilities, these aren’t nearly as sophisticated as what you might find in a commercial gym. This would suggest that, however conducive to building muscle weight training might be, it’s by no means indispensable. Whist we might think of bodyweight training as a means of maintaining general fitness, it can be an effective means of building muscle too – but only if done in a certain way. 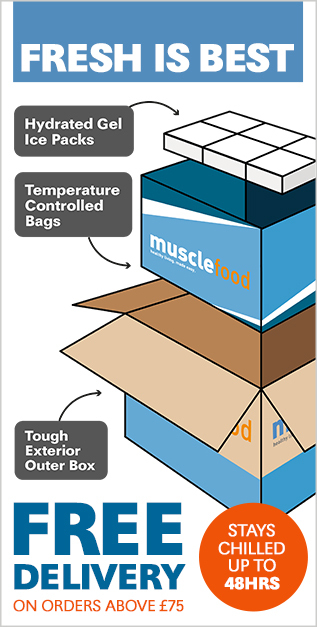 In order to build muscle, you need to place your muscles under significant load. Suffice to say, a session consisting of hundreds of different repetitions of an exercise isn’t going to do that. Effective bodyweight training for mass MUST activate those fast-twitch fibres, which have the greatest potential for growth. This means that you need to get those muscles to exhaustion before twelve or so reps.
To do this, we need to make our calisthenics programme a little more difficult. This can be done in a few different ways. We might perform a trickier variant of an exercise – perhaps with one hand, or perhaps with a different stance. Another option is to perform the exercise more slowly, and thereby place your body under load for a longer period of time. So, if you’re doing chin-ups, you might slowly work through the range of motion, and hold the repetition at the high point for a few seconds – suddenly not so easy, is it? Can Bodyweight Training Aid Weightloss? If you’re looking to lose weight, then bodyweight training can provide an answer, too. A whole slew of studies have recently linked circuits of bodyweight exercises with improvements in weight loss. Bodyweight training for weight loss, however, relies on intensity. If you hurtle your way through one set of bodyweight exercises, and then move on to the next, without taking any breaks, your heartrate will be raised throughout. Moreover, you’ll be rotating between different groups of muscles, and so each will have time to rest. Consequently, you’ll be able to cram the same workout into twenty minutes that once took an hour. This programme will not only burn calories immediately; it will improve your body’s metabolic rate for the thirty-six hours that follow. It’s therefore a sure-fire way to burn off those stubborn extra pounds of fat. Is Bodyweight Training Better than Lifting Weights? As we’ve mentioned, the most tangible advantage of bodyweight training over lifting weights is that it doesn’t require any extra equipment. Is Calisthenics Better than Lifting Weights? It will depend on many factors. While we’ve listed the many advantages of bodyweight training here, that doesn’t mean that we should disregard weight training altogether. After all, you can’t progressively increase the difficulty of a bodyweight programme in the same way you might a weight training programme. When press-ups become too easy, for example, you might attempt to do them one-handed, or more slowly – but you can’t incrementally ramp up the difficulty by curling a weight that’s a kilo heavier than the one you curled last week. Clearly, both methods have their advantages. You should consider these – and you should also consider your personal preference. An exercise that you enjoy is likely to be one that you’ll return to, and the most effective exercises are the ones you perform – and preferably perform well. It’s good to occasionally mix things up a little. Exposing your body to many different sorts of stressor will force it to adapt – and you’ll therefore see greater gains and less stagnation. A varied routine comprising both sorts of exercise, and which matches your personal preferences in the gym, is likely to yield the best results. t's a new year - so get yourself BUFF with these top 18 tips from your favourite writers... It took a SHOCKING reality check to spur Laura Muirhead into action - find out how she overhauled her life! 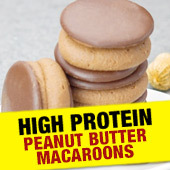 Curb your chocolate cravings with our NEW High Protein Peanut Butter Macaroons - 8.5g protein per bite! Read more here... Find out how! Try today!